PINE A64+ is the world’s first 64-bit expandable Quad Core 1.2Ghz supercomputer, tablet, media center, and more , for around $15 for the basic model and little more for added extras e.g. 2GB memory version or WIFI and Blue tooth version. PINE A64+ is an open source platform from both hardware to software. 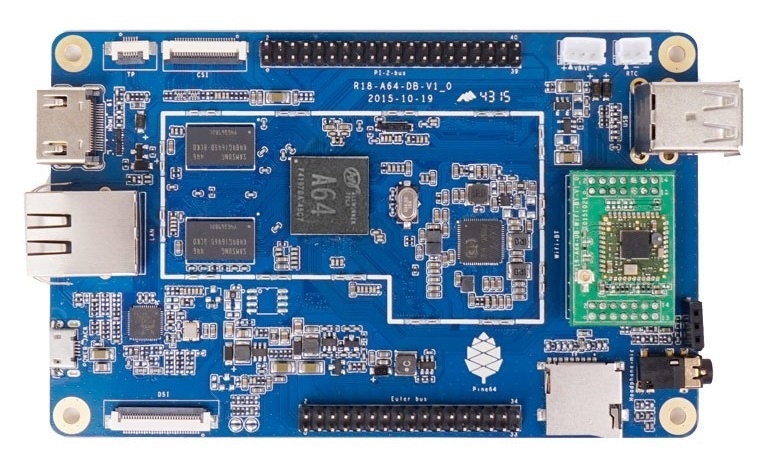 It’s a versatile single board computer capable of running today’s most advanced 64 bit version of Android and Linux. Our goal is to bring the most affordable 64-Bit computing solution to the world. Use the PINE A64+ to build your next computer, tablet, gaming device, media player, and just almost anything you can think of. Highest spec version currently available with a cost of $29.